If you are anything like me, then you will be spending more time than normal in the kitchen this week. It is time I will enjoy because I will be preparing the holiday dinner that launches the holiday season of family, fellowship, and some really good food. I love this time of year. The guest list is smaller than it has been in the past, but that just makes for a more intimate experience with the family we get to see. Fortunately, a smaller guest list does not translate to a shorter menu. I am cooking everything because I have a lot of food favorites I have been waiting all year to eat. 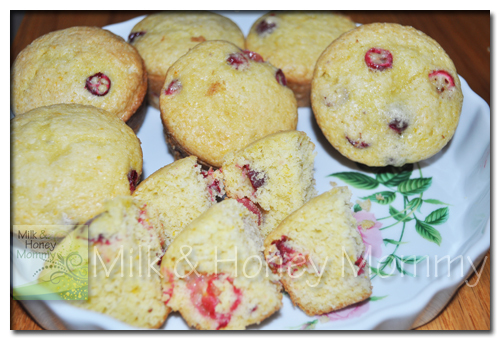 Making those favorites will take some time and I plan to start the day off with these really delicious, no-frills, muffins that will get everyone in the mood and prepare taste buds for the meal that is to come later that day. Having a batch of these ready to eat tomorrow will keep the hungry people at bay until the last dish is pulled from the oven. 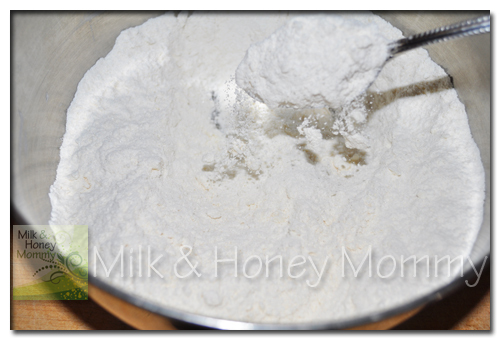 Of course you start with the flour. Next comes the baking soda. The salt is the last dry ingredient. 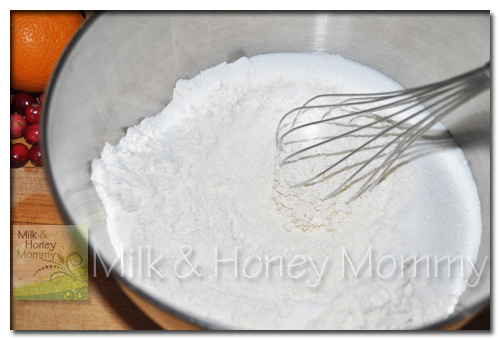 Whisk the ingredients together well and then set aside. 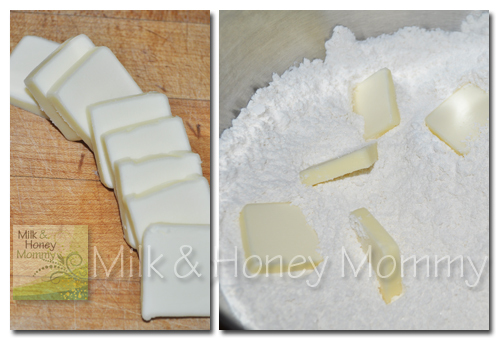 Cut butter into 1/4″ cubes and drop into the dry ingredients mixture. 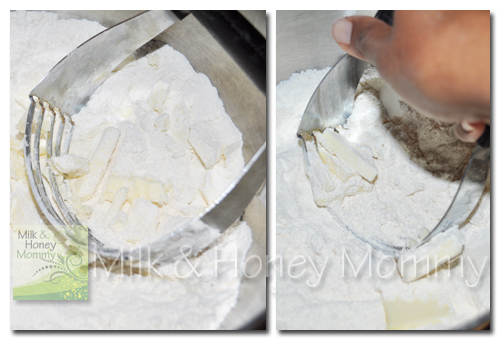 Using a hand smasher or something similar, cut the butter into the flour mixture until it is all well blended. 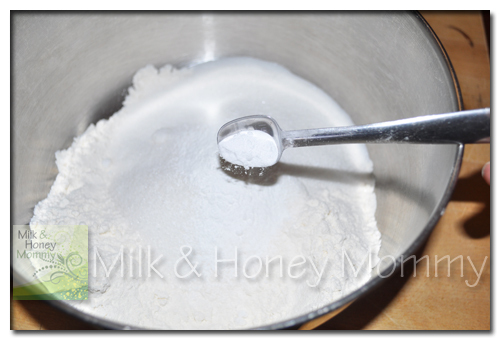 The mixture will be coarse, but should look like this and fall easily from the spoon (like a powder). 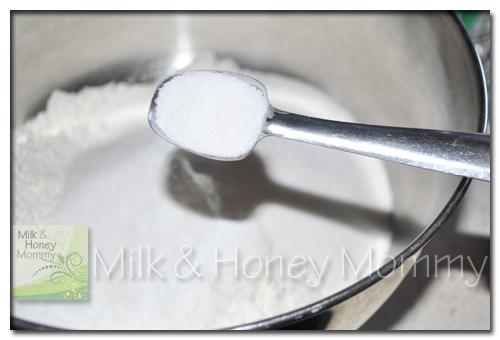 I usually do the grating and chopping before mixing anything together so everything is ready to toss into the bowl when it is called for in the recipe. Since putting this together went so quickly, I just grated the orange when it was time. 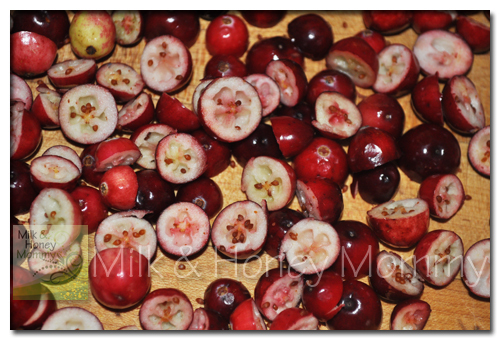 The cranberries chopped quickly except for when I had to grab a few stray ones that started rolling around on the cutting board. Those suckers move fast. Add the orange juice. You can squeeze the juice from the orange or just buy juice which is what I used here. 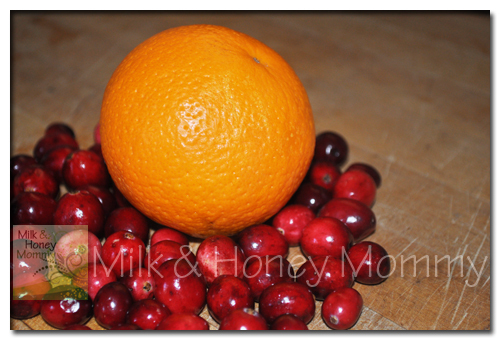 The juice from the orange does not produce enough to complete this recipe. Just chop the orange up and eat it as a snack. Add the grated orange rind. This really makes a difference in the flavor of the muffins. 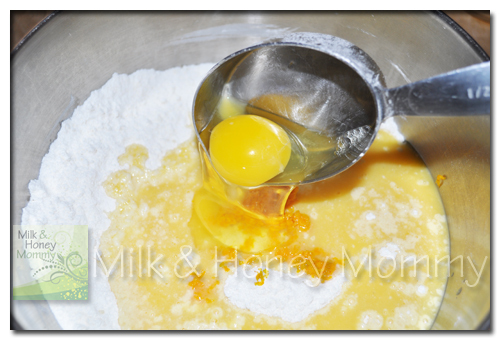 You can beat the egg ahead of time or just add it into the bowl. Sometimes, beating the egg before adding to a recipe is good, especially when the mixture is more dry, but this one has plenty of liquid so I did not beat the egg before adding it. 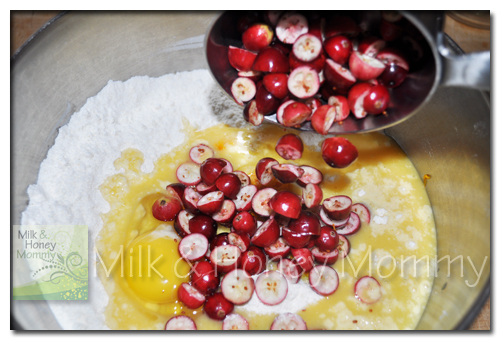 Add the cranberries and don’t worry about trying to pull out the little seeds. 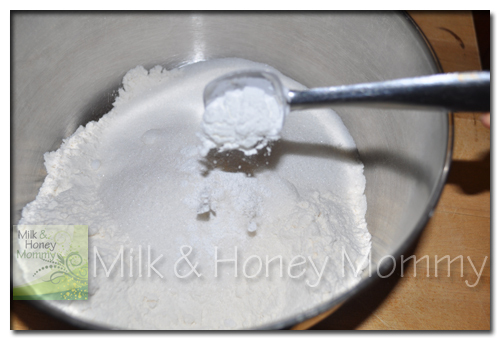 The batter is not stiff so it will spoon easily into the pan for baking. 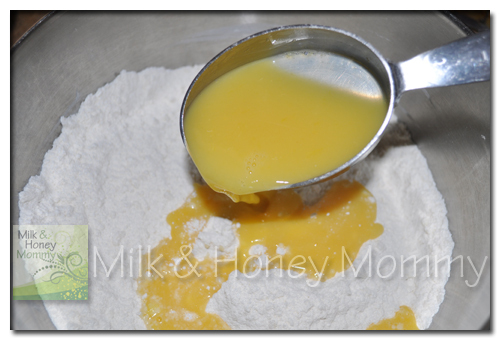 Evenly distribute the batter into the baking pan and place in the oven. You may notice that I cut a few muffins into pieces. They fit more easily into your mouth when cut into smaller pieces. I cut a few of the muffins this way and ate every single one of them. These are really delicious. NOTE: This recipe works fine in a loaf pan too. The baking time will just be a little longer. 2. Cut the cranberries in half and set aside. 3. 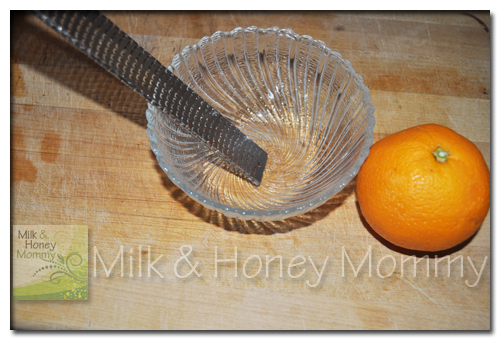 Grate the orange rind and set aside. 4. 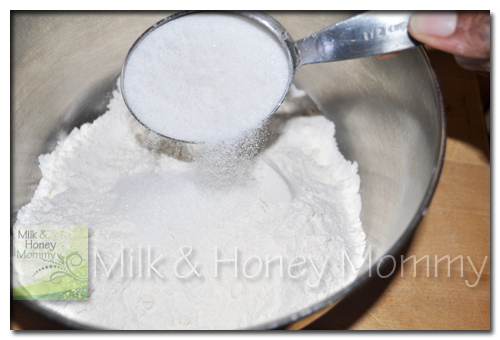 In a medium bowl, combine the flour, sugar, baking powder, baking soda, and salt and mix well. 5. 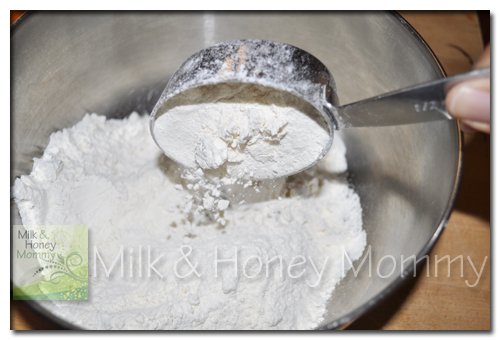 Cut the butter into 1/4″ chunks and mash into the flour mixture until well blended. 6. 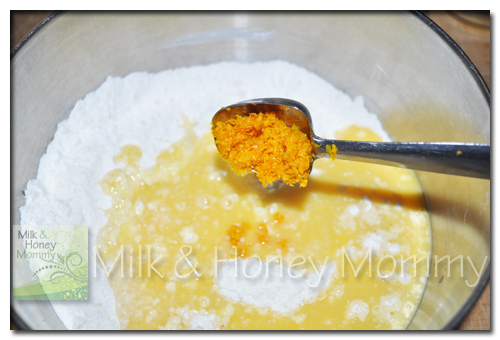 Add the orange juice, orange rind, and egg and beat well into the mixture until smooth. 7. 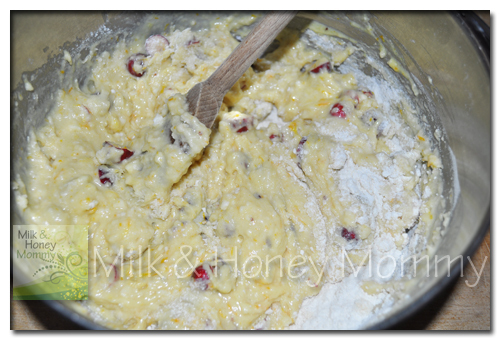 Combine the cranberries into the batter and blend well. 8. 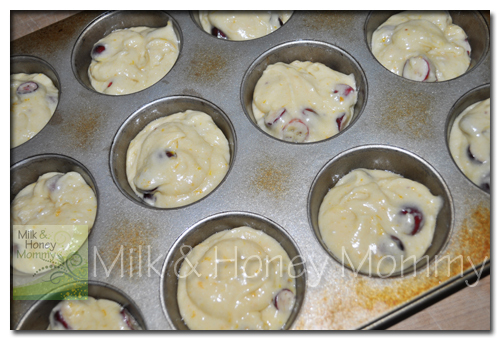 Place the batter into a greased muffin pan or loaf pan. 9. Bake at 350 degrees. 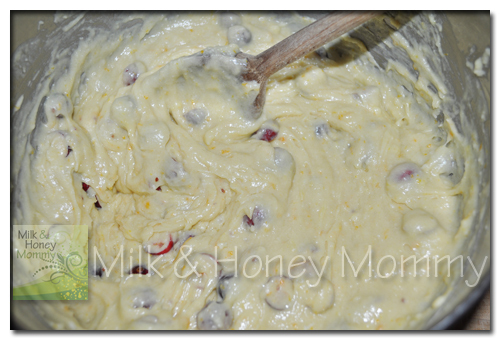 Bake the muffins for about 10-12 minutes OR the loaf for about 45 minutes. Watch to be sure you do not over bake. You want the muffins or loaf to be slightly firm, but not hard.